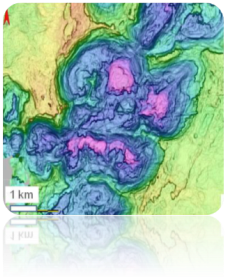 This website is run by our non-profit research group, and is aimed to present new types of fluid venting structures on 3D seismic, principally in Offshore Angola and some fossil seep outcrops worldwide. These two topics are ones of the main themes that have long been the focus of our research team. Only data and results with publication permission are presented in this website, and some of the presented works are still in progress. 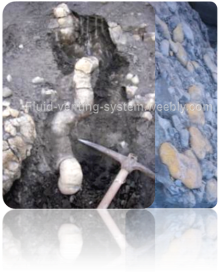 Fluid venting structures are the expression of focused fluid leakages from underlying reservoirs or local fluid accumulations in marine sediments (Hovland and Judd, 1988). 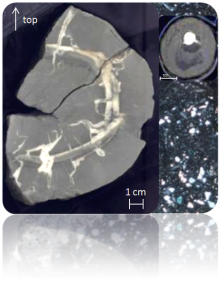 In petroliferous basins or continental margin, they are often interpreted as indicators of hydrocarbon leakage (cf. Hovland and Judd, 1988). The associations between individual, focused venting structures form local fluid venting systems are used to evaluate the number of venting episodes and venting styles at any given locations (Gay et al., 2007). The spatial and temporal distributions of fluid venting structures/systems are often used to track the pathways of hydrocarbon migrations over time (Heggland, 1988). In infrastructure or pipe line engineering, fluid venting structures are often studied for geohazards assessment in deep water domains (Connolly and Aminzadeh, 2003). 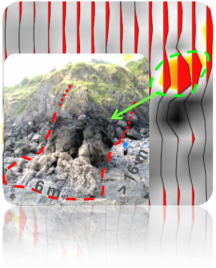 Three families of new types of fluid venting structures in fine-grained sediments have been classified here. They are pockmarks, chimneys structures and positive high amplitude anomalies (PHAAs) - the seismic expression of methane-related carbonates. You can click on the images below or use the menu bar on your right to explore the related web pages and publications. 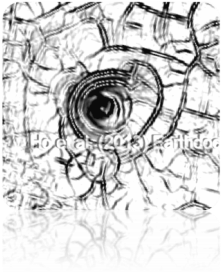 Fluid-Venting-System website by S. HO is licensed under a Creative Commons Attribution-NonCommercial-NoDerivatives 4.0 International License.